Leeds-based pre-stressed concrete solutions business CCL’s Danish subsidiary Skandinavisk Spændbeton has acquired a 55 per cent share in Thilt Holdings AS, a specialist engineering company based in Aalesund, Norway. The new company, to be known as CCL Buildings, will become a subsidiary of Spændbeton, and will service the Norwegian construction market in the design, supply and installation of CCL post-tensioned concrete slabs. Founded in 1935, CCL’s headquarters and manufacturing base is on Millennium Way, off Dewsbury Road, and it is now one of the world’s leading pre-stressed concrete engineering specialists employing around 430 people worldwide. 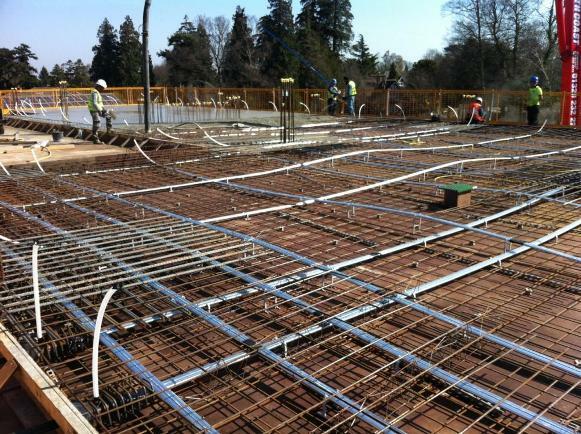 The company pioneered the use of post-tensioned slabs within buildings, and it is the largest provider of pre-stressing solutions in building structures. CCL Buildings will work in close coordination with existing CCL engineering companies. The exchange of knowledge, information and technical expertise will also promote the continued development of post-tensioning within Norway. “We would like to take this opportunity to welcome Thilt Holdings to the CCL Group and look forward to a successful future together. Well-known projects that CCL has been involved with in the UK include the award-winning Strata SE1 building in London’s Elephant & Castle; St George Wharf Tower, Vauxhall, London; the redevelopment of the British Museum; the tractable roof at Wimbledon’s Centre Court and Heathrow Terminal 5. Spændbeton was founded in 1947 and deals with horizontal and vertical post-tensioned structures employing around 50 people.